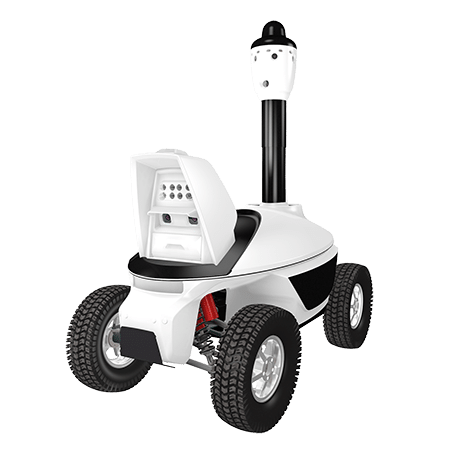 SMP Robotics has developed several robot models for the security services market for covering restricted areas, involving patrolling of a facility’s perimeter and premises. A major advantage of autonomous robots is that they drive safety and work with intercommunication. This results in cost-effective robotics solutions for large-scale and expansive facilities. 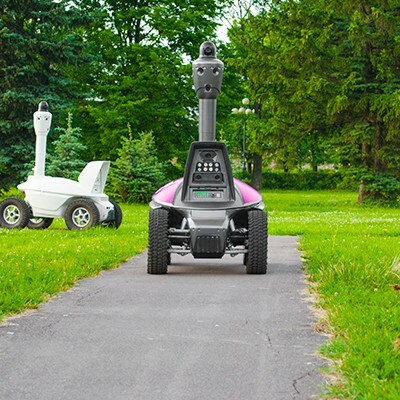 S5-series security robots can solve security challenges effectively by working in a group. To this end, each robot is equipped with a group interaction module to analyze the locations of other robots on site and, depending on the threats, to change their own patrol routes and observation posts. This module incorporates swarm behavior algorithms for autonomous robots. Their use allows for continuous surveillance of an area with flexible response to external changes. The large number of possible threats and difficult-to-predict situations prohibits programming every potentially necessary behavioral model in advance, using traditional methods and solutions. Contingencies are taken into account by the robot’s artificial intelligence system, such as an intrusion detected in the protected area, the triggering of stationary security sensors, and the need to change routes in case movement is obstructed. 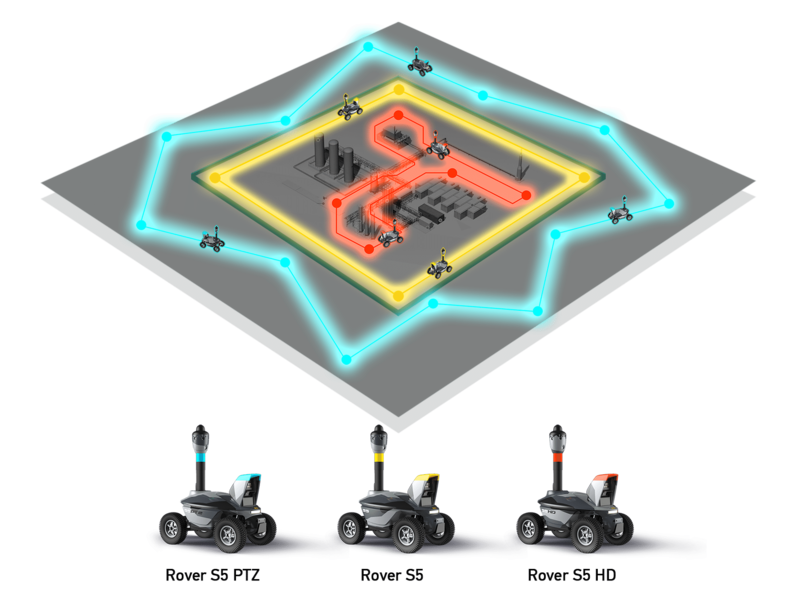 The interaction of robots as a set of independent, intelligent agents, determining their own group (swarm) behavior, allows the robots to solve complex challenges involving continuous video surveillance while guarding important, large-scale facilities. Ensuring the safety of premises and facilities comes with many challenges, most of which can be met by SMP Robotics’ specialized models of security robots. 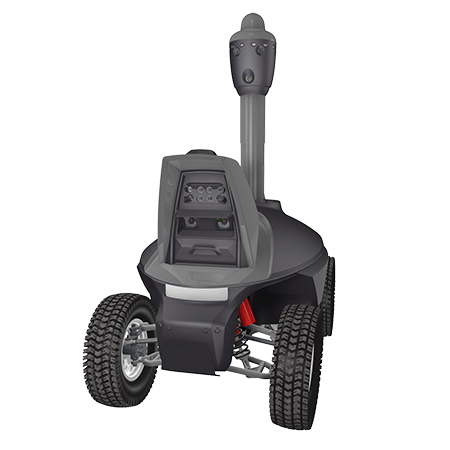 The S5 PTZ Security Robot is designed to monitor expansive areas and provides long-range surveillance at a distance of up to 110 yds. If motion is detected, it automatically directs its PTZ camera toward the motion, zooms in on the object, and transmits an amplified image to the Central Monitoring Station. 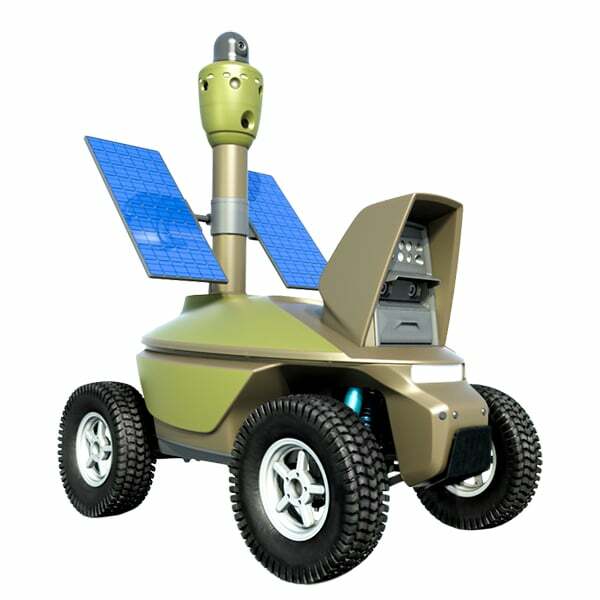 The S5 S Solar-Powered Security Robot is designed for prolonged, autonomous operation without the need to recharge. 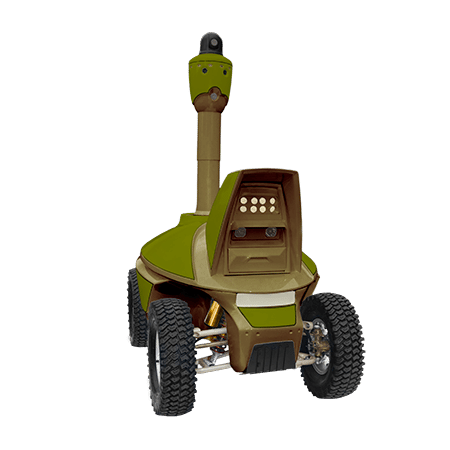 The S5 Perimeter Control Robot provides perimeter control around a fenced-in territory. 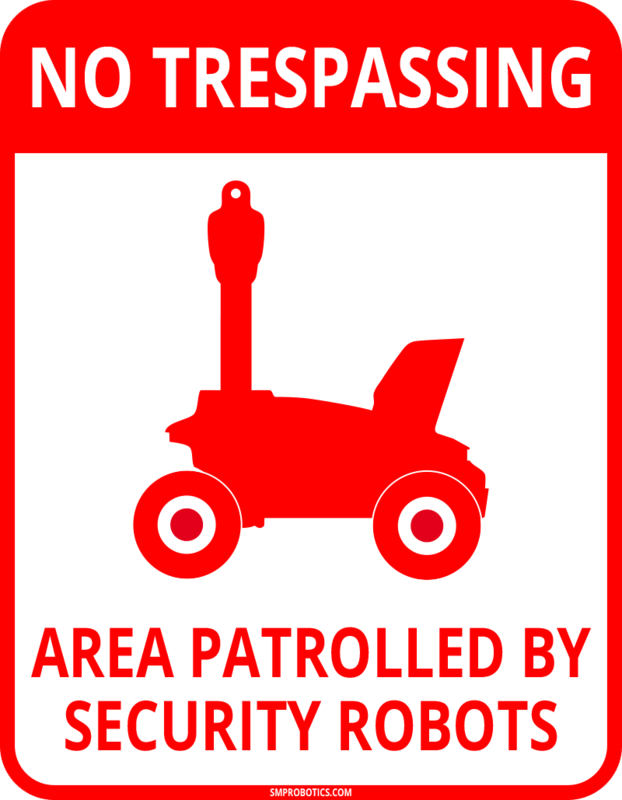 This robot constantly moves along the fence, and if sensors on the fence are triggered, the robot changes its route to move to the zone of potential intrusion. Vehicles entering the secured area can be identified by an S5 Automatic License Plate Recognition (ALPR) Robot. It is also able to patrol parking lots in restricted areas. Stationing extra robots can bolster security promptly and effectively. The first robot used in a guarded facility creates and refines the map of patrol routes, accumulating statistics of emerging threats. 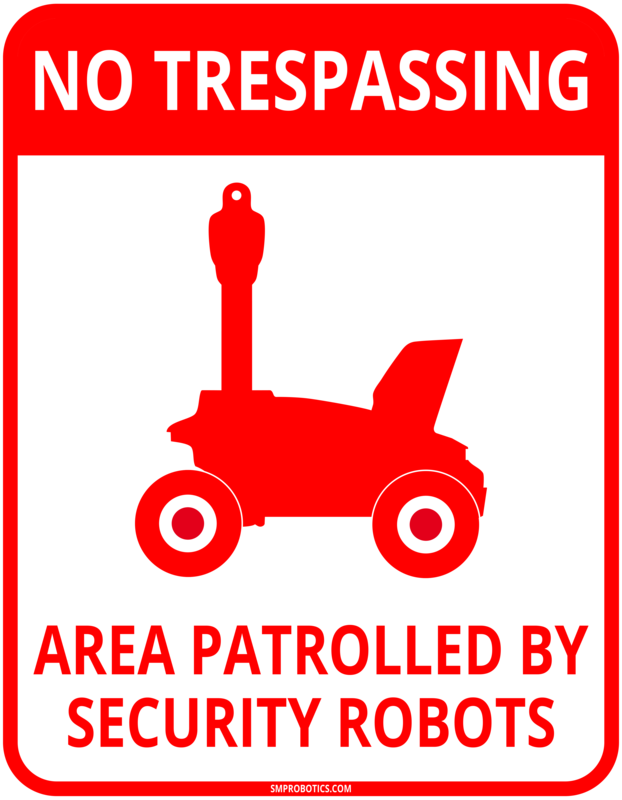 In case of an increased risk and the need to bring in additional robots at a guarded facility, all the information gathered by the first robot can be transmitted to other robots. This unique feature allows the robotic system to almost instantly tighten security measures without any additional human resources. This feature becomes particularly attractive when considering the costs of maintaining a reserve of trained and ready security officers capable to deploy at a new facility. A new robot that is introduced to bolster security will not need any extra time to study the situation and will immediately begin to carry out its functions just as effectively as a robot that has worked at the facility for a long time. Back-up security robots do not consume any resources while being constantly ready for operation. 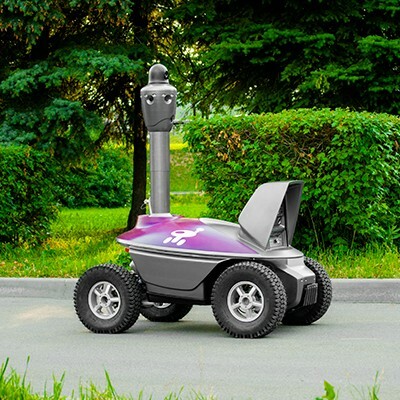 S5-series mobile security robots use a WiFi network to transmit video footage from built-in cameras. For operating in a number of facilities, it is very difficult to set up 100% network coverage throughout the entire premises. The robots support MESH protocol, which allows them to solve the problem of reaching areas from which video transmission to a Central Monitoring Station is impossible. This transfer mode supports the successive transmission of video between robots. Video footage from the robot located outside the Wi-Fi coverage area is transferred to the Central Monitoring Station through a chain of intermediate robots. Robots that support MESH data transfer protocol independently organize their cruise routes to create a video transmission chain from isolated areas of the protected territory. The wireless MESH network ensures an extremely high reliability of data transmission in protected areas with complex terrain, high-density development, or trees and shrubs.